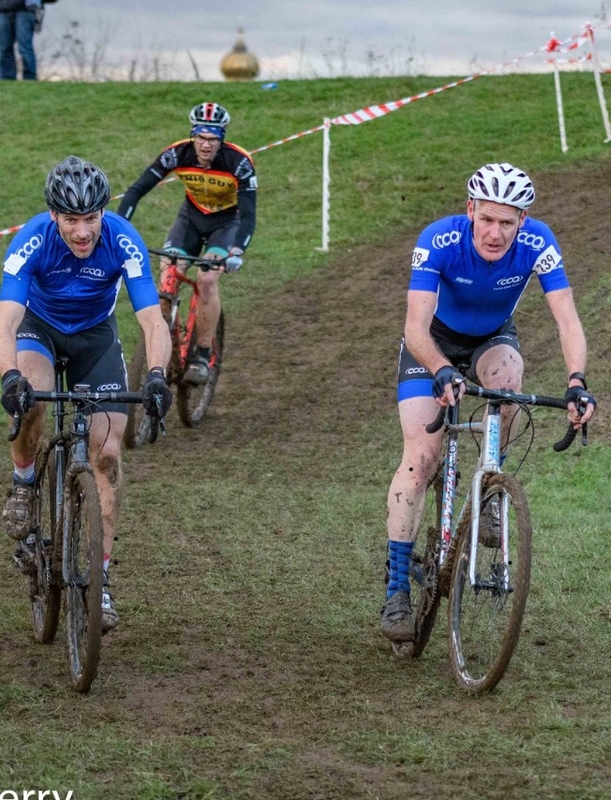 Cambridge Junior CC promoted their first cyclocross race last year - it was brilliant. Despite being in Cambridge a key characteristic was the hills. I remember thinking ‘this would be different when wet’. The sighting lap revealed the course was indeed muddy and this built upon the bike in the first ¾ of the lap and then, by and large, shed in the final ¼. I swapped to mud tyres and resolved not to ride the course again until the race. This was challenging and I found I could only ride half killer short climbs over the dyke. I had to run some descents and my legs were definitely suffering. 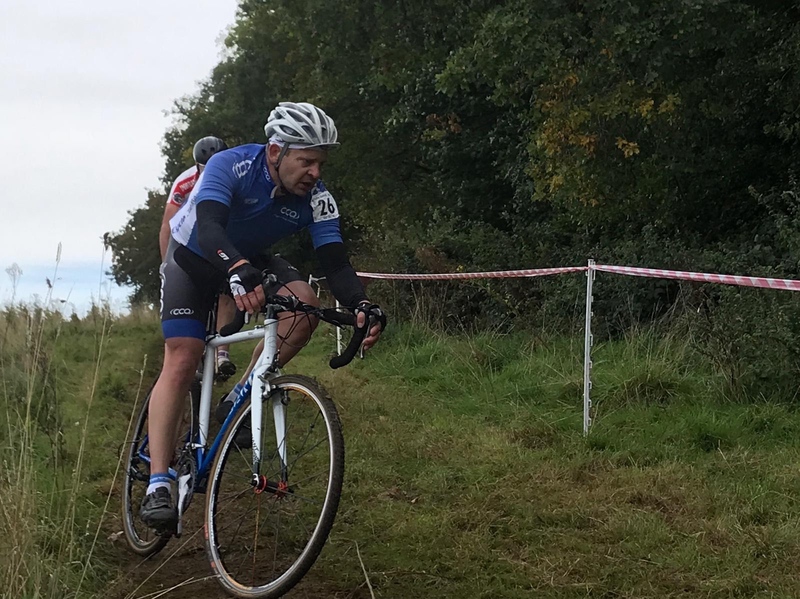 The course was a lot drier by the end. I did okay, in fact I scored exactly my average league points. 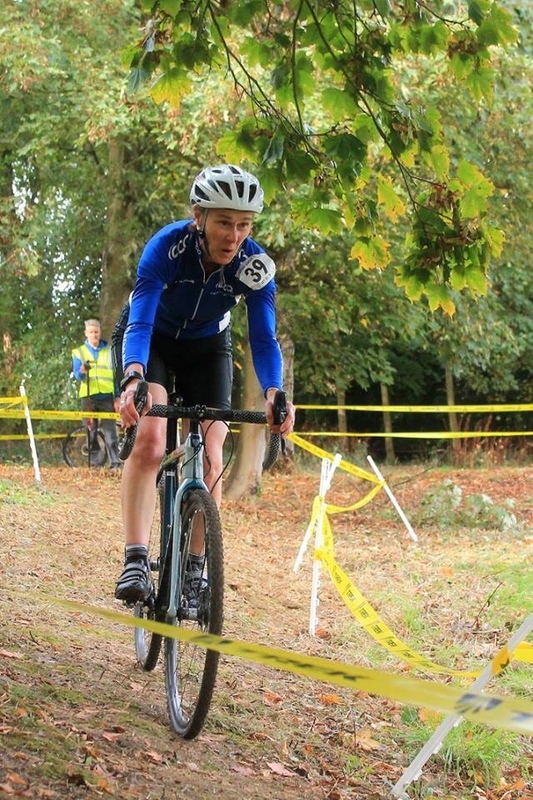 So the course was very different when wet, principally harder! I carefully ate straight after and did my best to get my head together for the senior race. 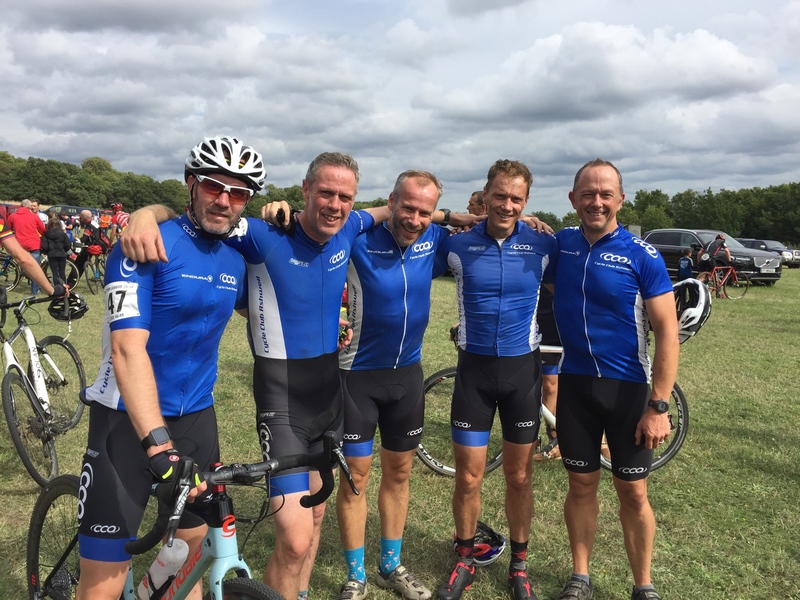 The V40s set off with Iain, Ben, Dan and Dave representing CCA. I shall let one of them tell their tale. So by the time the Open race was due I felt reasonably rested and nicely fed. The poor old double heading V40s had no such rest though. Dan looked particular cold as he gagged a couple of gels down before gridding. And so the whistle blew and once more I found myself charging down towards the tight corner in the woods. The ground was so much drier that I could ride all the hills; though this was incredibly hard and my ability to maintain this was waning fast! 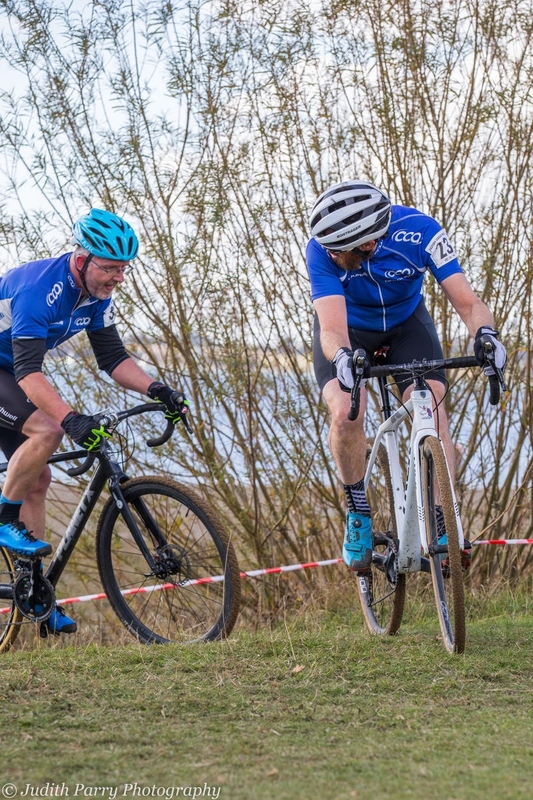 I ended the first lap with the lap board saying ‘8 to go’ (I did a total of 4 laps in the V50 race) and Ian Doe expressing his amazement I wasn’t last. It was fascinating riding exactly the same course which in just 2 hours was completely different. My heart lifted every time the leader past me! I was having a great time though and never gave up hope of catching Stuart, who was one place ahead of me. After the race we enjoyed the Eastern League AGM before ending up in the Pig and Abbott for some end of season frolics. What a day! 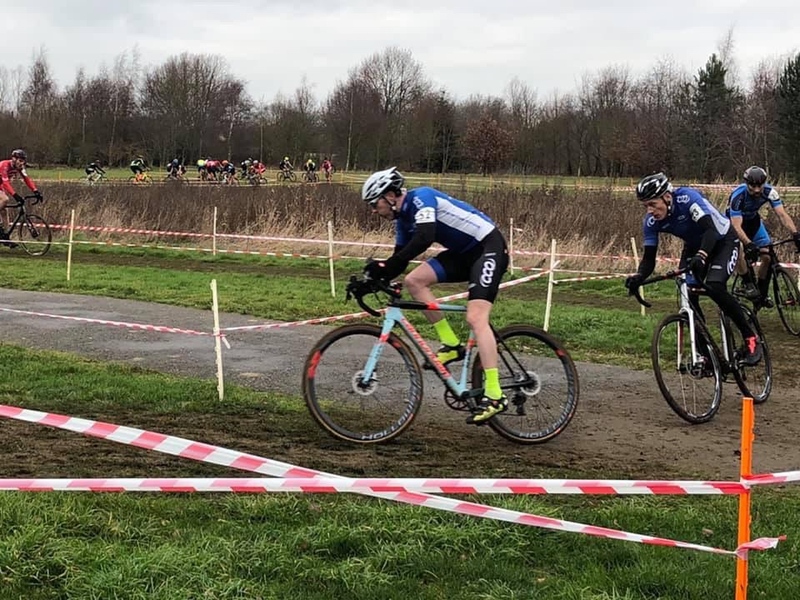 What a shame the CX season has ended, these write ups have been the highlight of the winter. Thanks for sharing your adventures and well done to everyone! 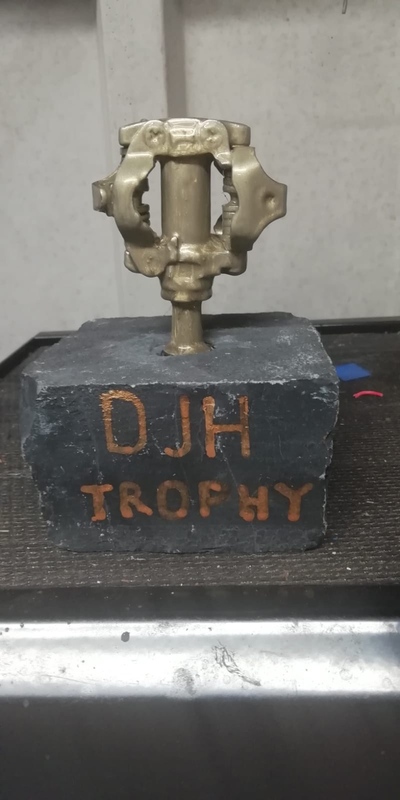 The final race of the season and a chance for me to claw back another point against Dave in the DJH challenge. 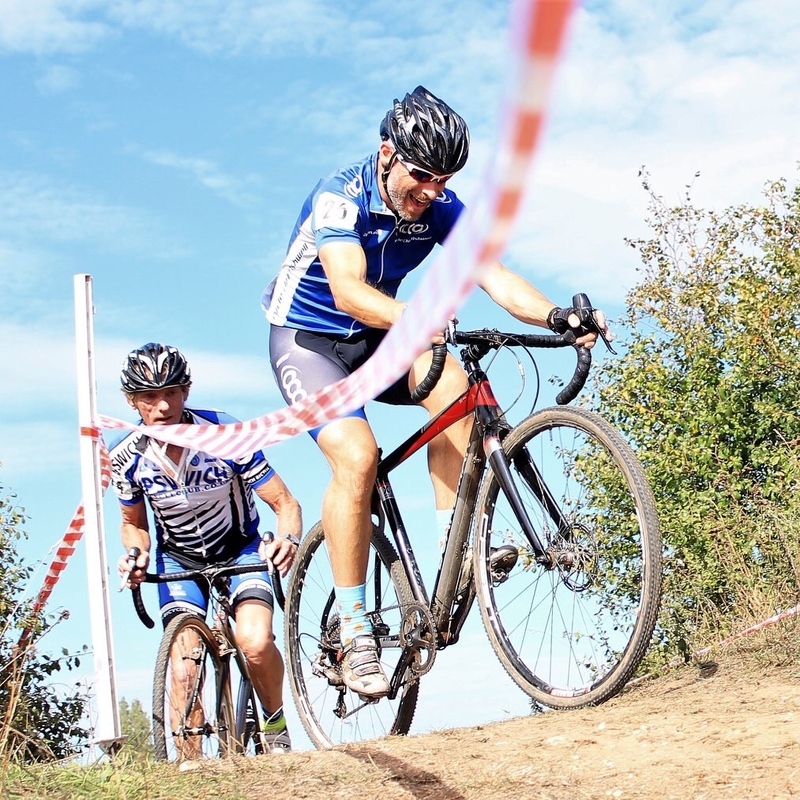 Milton is a great course and the mud is making it tricky for many riders. The course has dried out since the V50 race but it’s still a challenge. 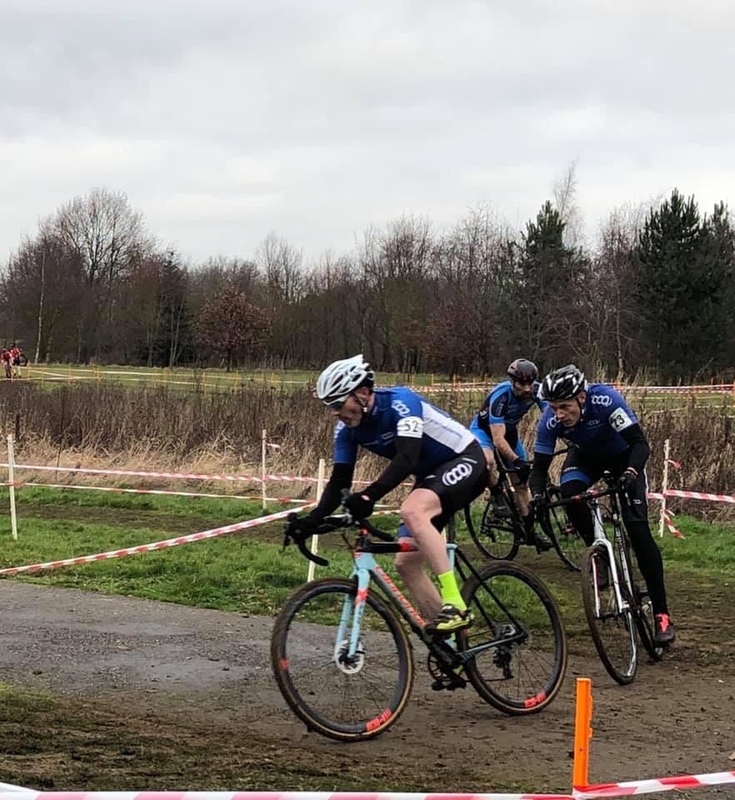 Mud has been my nemesis mainly due to a lack of racing in muddy conditions but I do feel that I’m making improvement with every race (its all about the visualisation). I have a fairly good start and I’m not too far behind Ian, Ben is already getting away but more importantly Dave is behind me. I need to a top 30 finish to jump ahead of the person in front of me in the league and as Iain is right in front of me I know I must be right up there and it’s good to see the guy I’m trying to beat is some way behind. 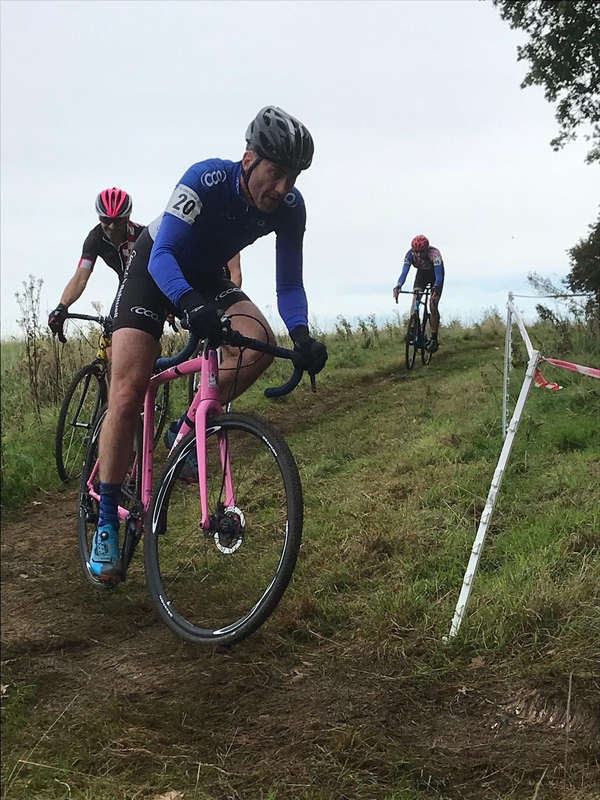 There are a few comedy moments on the muddy off camber, Iain gets up close and personal with the rear end of one rider, someone goes flying by me on one of the descents but fails to make the turn and ends up going over his bars but the beauty of cross is its always a soft landing. The hope of beating Iain quickly fades as he puts in some cracking lap times. I’m thankful this race is only 36mins long as I have stupidly entered the senior race as well. I cross the line but have no idea if I’ve done enough to beat my league rival and there’s only time for a quick drink and a gel before I head over to gridding for the senior race. I’m now freezing cold, I feel ill and I can’t feel my fingers. I’m gridded at the back along with Dave, Ben & Ed but Pete, Daniel & Stuart have managed to get good grid positions. I have a cracking start and take loads of places, I’m trying to pace myself as best I can, Ben has already disappeared into the distance and I can see Pete and Stuart right behind me. I try to do enough to hold my position but the hills are really draining. I have a small incident with a tree but bounce off it and manage to stay on my bike. 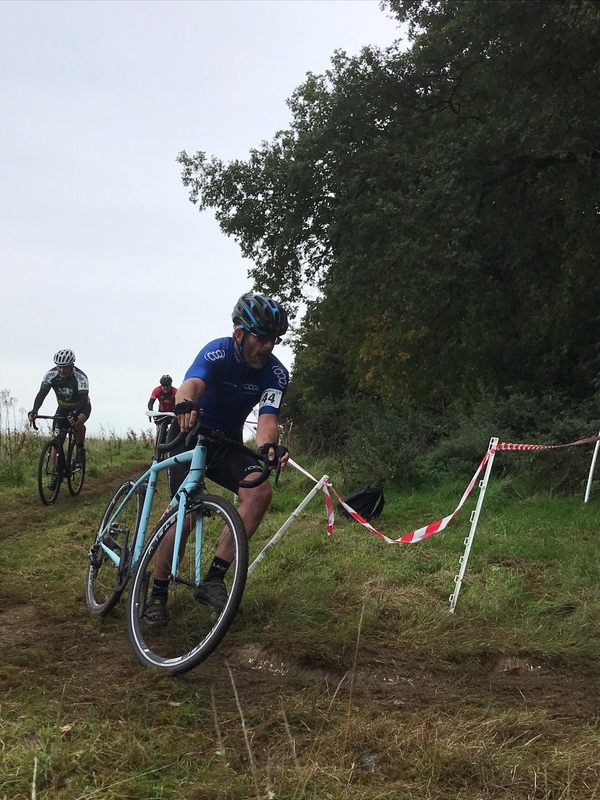 Mid-race Tim lets me know that I’ve finished in 24th in the V40 event, I’m over the moon with this but my body is now near breaking point and on the last lap I find I just can’t ride up the hills, I jump off and try to run but the best I can manage is a very slow walk. I pass Ben who has now cramped up and has suffered a puncture. I finally cross the line after over an hour of racing, I’m too tired to celebrate being the first Ashwell rider over the line, Mark seems concerned over the lack of colour in my face & my shoulder now starts to ache following the run in with the tree, I need to get warm so head off to the Café. I’ve had a strong finish to the season with 3 straight wins over Dave making the final score 8-6 but more importantly I’ve beaten Dave in the overall league. We’ve both finished with the same number of points but I’ve been placed ahead of him based on the final race result. 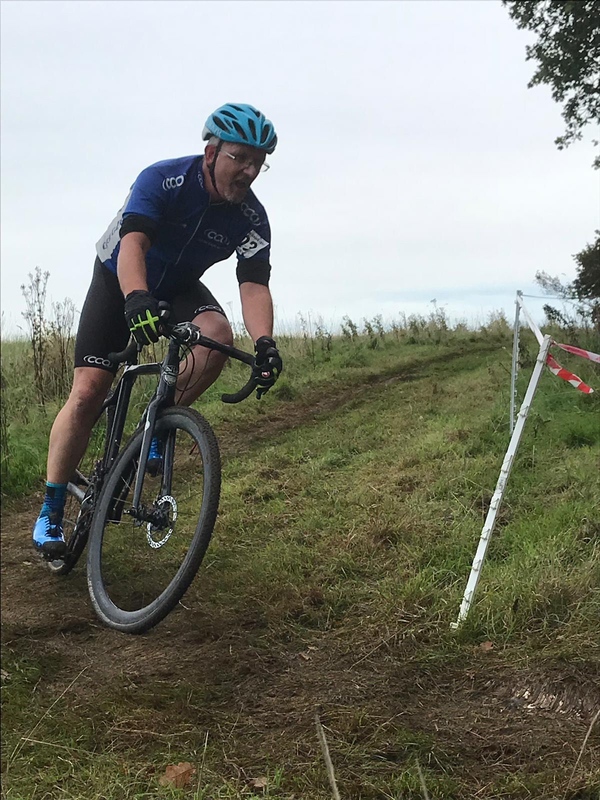 The DJH challenge now switches to Grass track but I’m taking a week of training and having a binge week mainly eating cake and drinking beer. Agree - great and testing course. I missed the cut off for the V50 entry (the only one to sell out) so was looking forward to relatively stress free run at the seniors. It meant more distance and time but I had nothing to prove as I have not raced out of class all season. When I arrived I discovered that my mad team mates had decided to do the double. I thought I might beat a few of them as I would be fresh but no such luck. 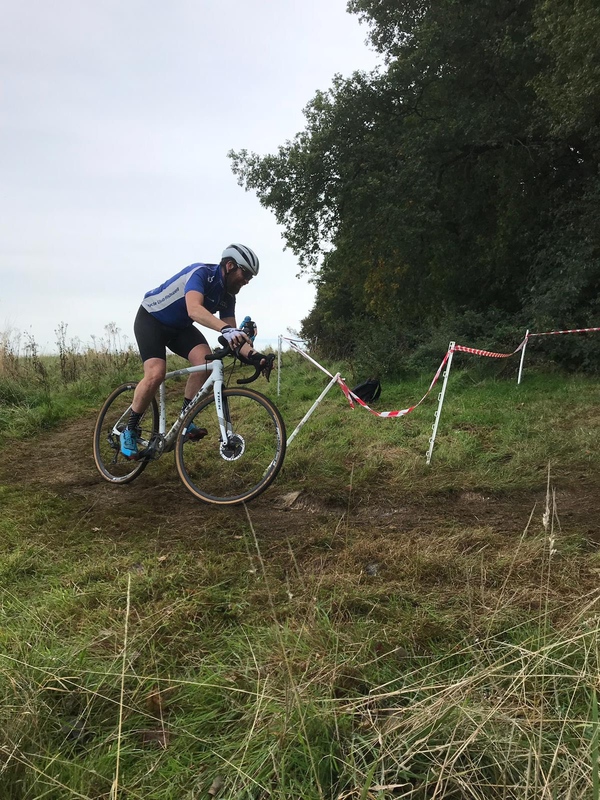 Hats off to all that did the double that must have been hard although I understand the course was easier to ride as it dried out during the day. 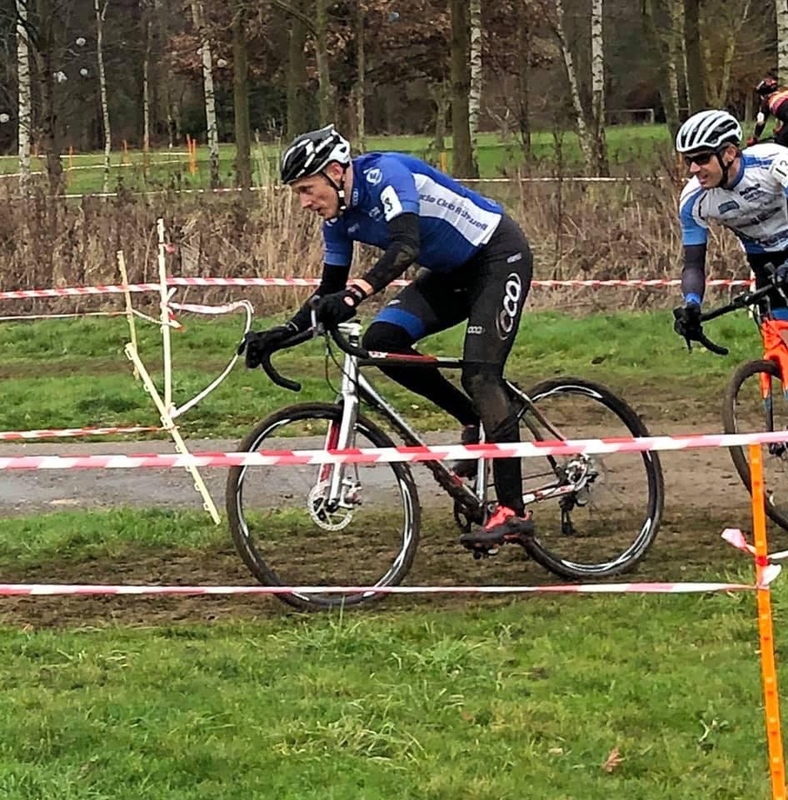 I had a big off on the last lap on one of the muddy downhills and let myself be caught by the leader who was storming round at about 2.30 per lap quicker than me. Was not sure if I could face another lap and felt my riding was becoming less skilled as I got tired. Still have not worked out how they grid. The best I got in the v50 this was 5th row but somehow for this I was in 3rd row and had sean Dunlea lead me out. Not for long though as I was quickly overtaken by most of my team mates. 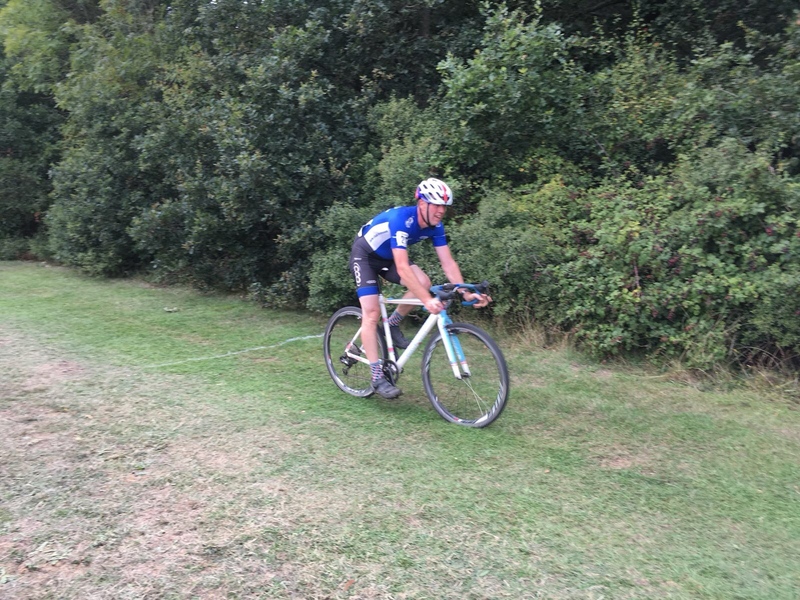 Even Ben beat me and he punctured and had to run most of the last lap!!! Looks like after all the battles between Dave and Dan they ended up drawing on points in the league. The Club was sixth overall in the team comp. Down a bit on previous years. Apologies for the previous incorrect results especially Vincent who came top. Not really sure how that happened? Revised results below. Tim did much better than it looks but he did not complete as many races. 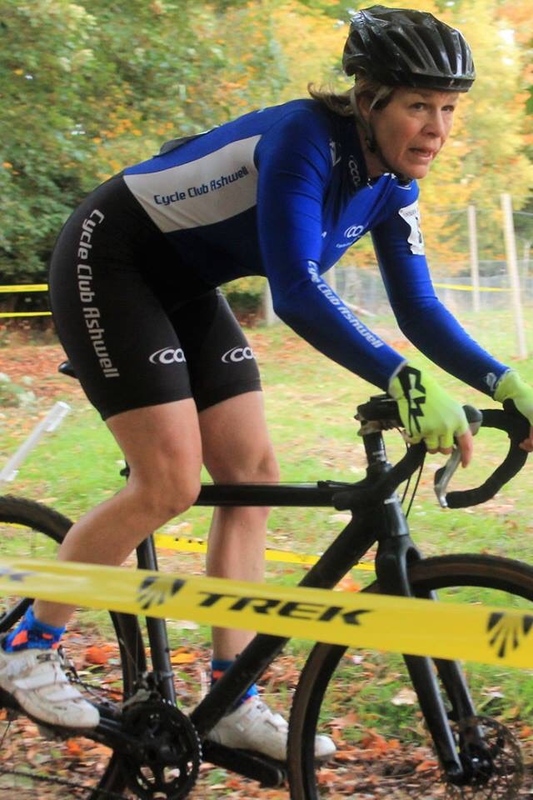 Meanwhile... CCA's team of veteran women had a great cyclocross season. - CCA had more riders in the veteran women's league than any other club or team. - Anna, Stevie, Jackie and Emma finished 6th, 7th, 9th and 10th overall in the league. And Jackie's placing would have been considerably higher had she completed a full set of ten counting races. - The excellent rides of Emma & Stevie at Trinity Park in December. 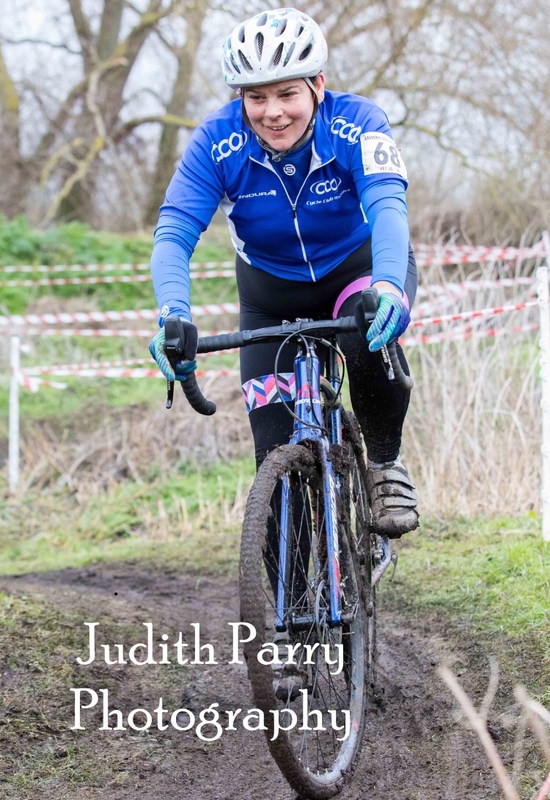 - Jackie's win at Welwyn in October (and being on the podium in every other race that she did). - Stevie sacrificing one of her races to help an injured rider. 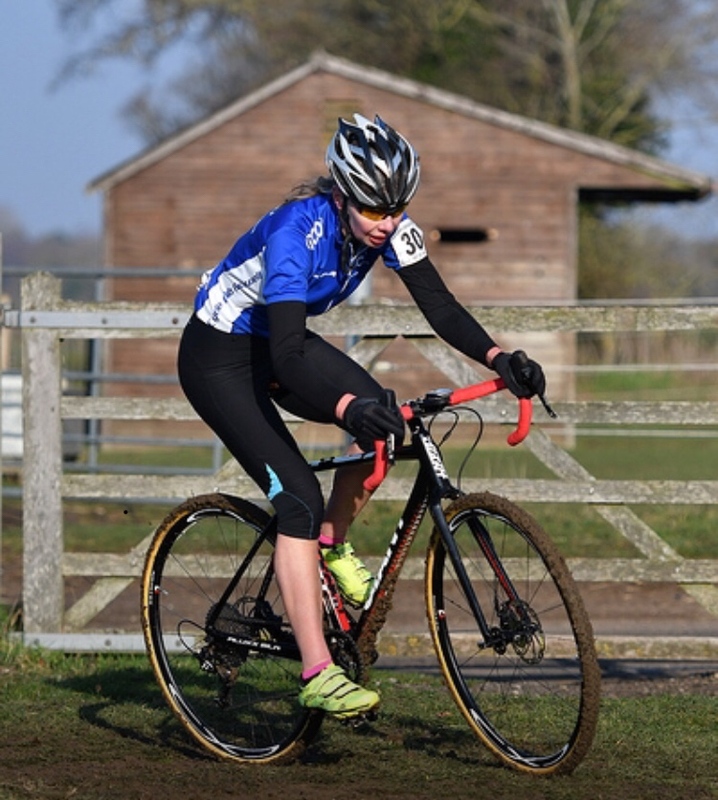 - Anna coming back from a lay-off to race a full season (and notching up her 80th cyclocross race along the way). 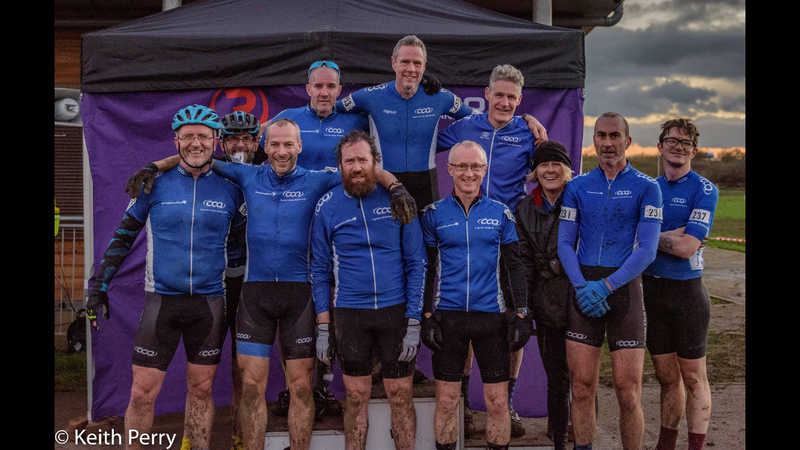 A few more photos from the CX season. Nice set of pics Dan. Thanks for taking the time to post. I had not seen some of these. Just need a report from the juniors to complete the set. I understand from the Ashwell FB page that Logan did well. 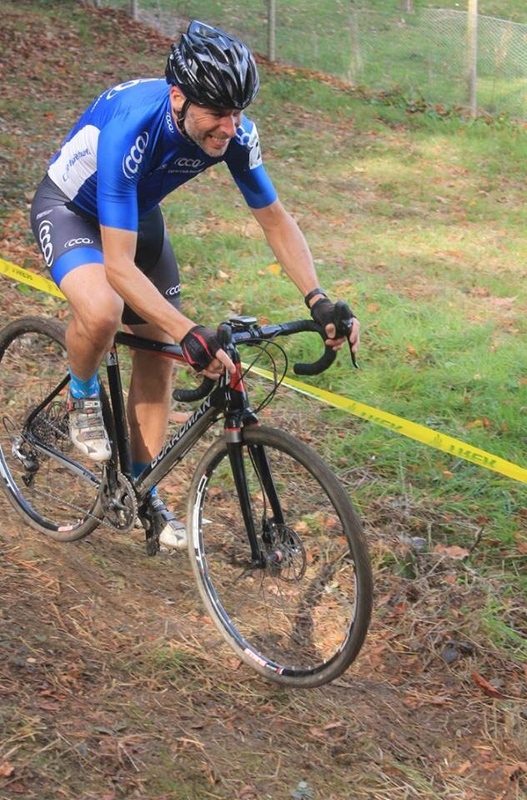 This was my second CX season of racing and my first with CCAshwell. I can honestly say that after 10yrs of racing, this has been my favorite season so far! Not just because of how good the courses were and how well each event was run, but mainly due to all you guys being so great! You have all been very welcoming and friendly which has made the whole experience so fantastic! You are all a credit to the club and looking forward to another great year with you all! Something is going on in CCA. This cross thing is getting big. Loved being part of it this year. Doing ten league events was an achievement I am proud of. Seeing youth to vets showing skill and determination all season and supporting each other was great to see to. Ben you are a stalwart of the cross thing and glad to see the regular off road club rides taking shape. I’ve started dreaming of disc brakes. 'stop right now thank you very much'. It has indeed been a great season and all the more so with Ben riding with us. Thanks for your full commitment; actually everyone is fully engaged and I think this is why it is working so well.